Hey everyone! It is that time of the year again. Time to start thinking about the holidays. 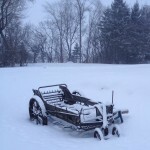 For our third year in a row, we are hosting a Small Business Saturday event on our farm. From right here in Elko, Glenda makes beautiful soaps. 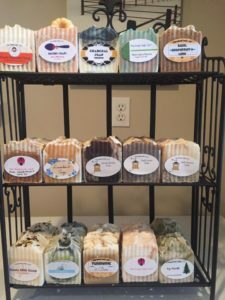 She uses a variety of essential oils, flowers and other “toppings” to make luxurious soaps. 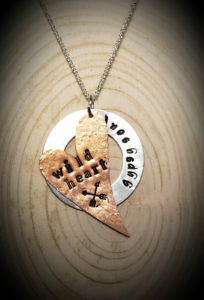 These would be great gifts for family, friends, and co-workers. Local author, Leland Roy of Elko, will be on hand to tell you all about his books. 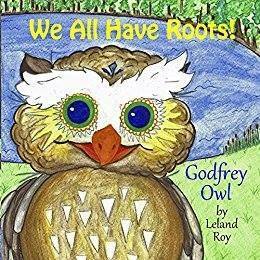 Godfrey Owl is a wise Teacher and friend to all of the young animals in the forest. In book one, We follow him as he teaches the young animals about trees and their roots. This rhyming story, with a friendly and bright eyed Godfrey Owl and lovable young animals, is sure to catch the attention of all children – as well as their parents. Let’s welcome Holly, owner of Elderwise Organics, to the Elko New Market area. Her family just moved here this month. Holly will be selling natural and affordable solutions to the common cold and flu. 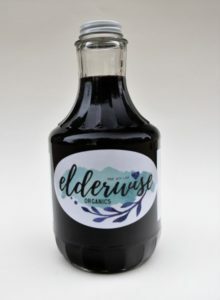 Great tasting Organic Elderberry Syrup with added immune boosting power. My friend, Carmen, has been with us since the beginning. 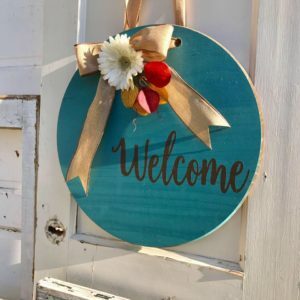 I love her collection of handcrafted signs and other gifts. She has a milk can lamp that I have my eye on. 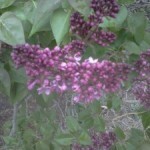 My parents will once again have boughs and other natural decors for sale. My dad personally harvests the natural decor from his wooded areas and fields. 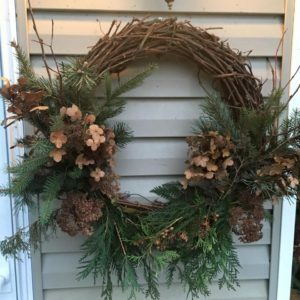 Bring back your wreath from last year or bring your pots to be filled on the spot. 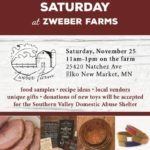 Don’t forget Zweber Farms’ meats!! Of course, there will be samples! I will be serving up samples of our smoked hams and other appetizer times. So come hungry and leave with all the meats you will need for the holiday season. The last two years we have sold out on hams. 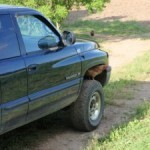 To see our entire selection of meats for sale click here. Don’t forget to bring a gift for a child. We will be donating gifts to the local domestic abuse shelter. They are especially looking for gifts for teens. Think: earbuds, gift cards, makeup, books, etc. 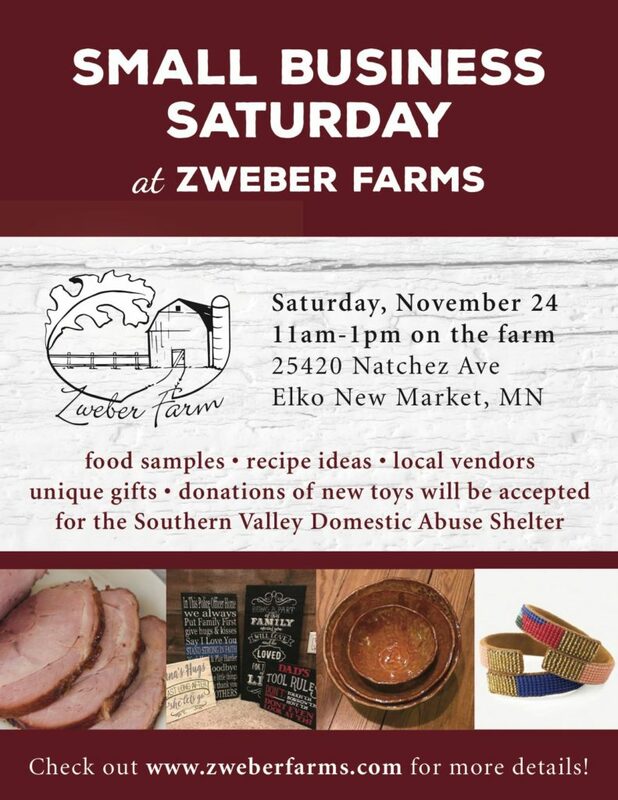 So mark your calendars: Saturday, November 24 from 11am-1pm. 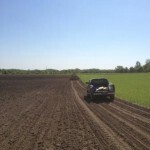 See you on the farm! This looks great – using your farm as a hub to outreach to and showcase other local producers is a great idea and I am sure you will all enjoy great repeat business.